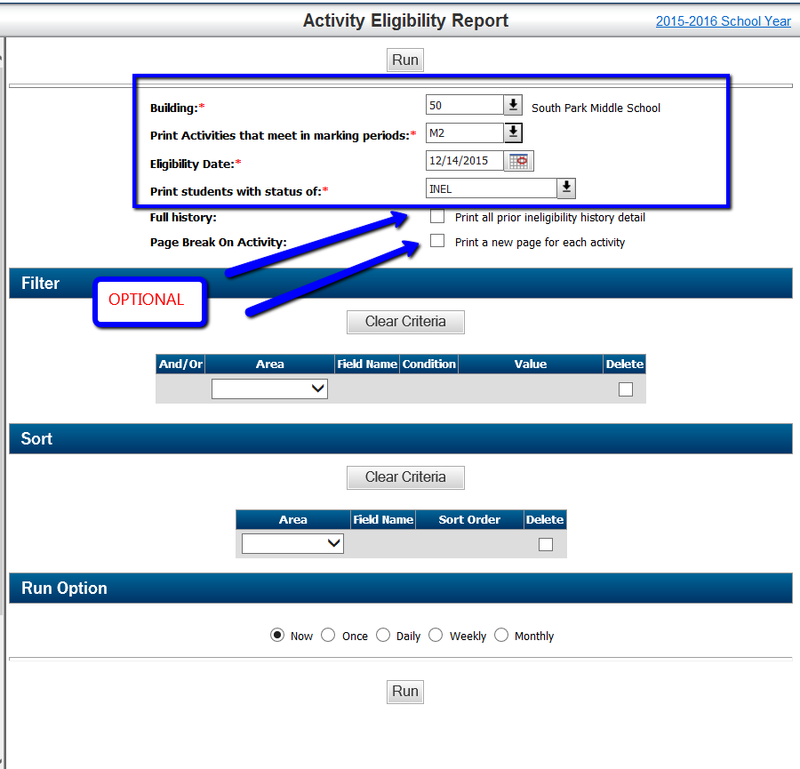 Activities have been populated under Registration Center - Activities, from an upload our of RSCHOOL Today for High School Sports, as entered by activities staff and manually updated in eSchool at the Middle School level. When the IPR Eligibility Calculation is run on Monday, the current status of the student is updated based on eligibility Criteria. This information can be viewed on a team-by-team basis in Registration Center - Activities, or summarized on the Activity Eligibility Report. 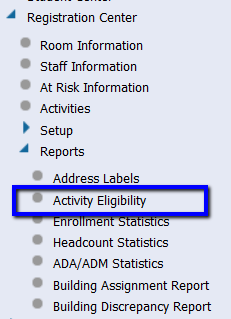 Navigate to Registration Center - Reports - Activity Eligibility. Note the optional flags for history and page breaks. Recreate the screenshot below, and pick up the report on the Reports section of your home page.